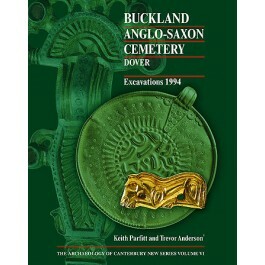 The 1994 excavations at Buckland, Dover, uncovered another 244 graves in the extensive Anglo-Saxon cemetery first excavated by Professor Vera Evison in 1951-3. Just over two thirds of the burials contained grave goods. Several male burials contained a sword, others a spear and sometimes a shield. Women's graves included brooches and beads and a variety of other objects. The excavation was undertaken by Canterbury Archaeological Trust with the assistance of the British Museum. This detailed study of the cemetery, the individuals interred therein and their grave goods is the product of this close liaison.